Yep, Sept. 1. Labor Day. Back to school for the kids tomorrow, and back to work for the grownups. For me, as a woman with a full-time job and part-time graduate school work, it’s both. Spent my day doing a short hike/geocaching run on the West Essex Trail in the a.m., later followed by a stop for ice cream in the late afternoon. So not a bad way to spend a day off. Amid all the school supply sales and the wisecracks about how you’re not supposed to wear white after Labor Day (who came up with that rule, anyway?) there’s a lot of laments about how the summer seemed to go way too quickly. Including from the outdoors people – including me. You know how it is – the hikes and camping trips we didn’t get to take, the long-distance bike rides we’d wanted to do but couldn’t, the beach trips, and so on ad nauseam. Technically, folks, it’s still summer – we’re not at the autumnal equinox yet. So as long as the weather permits, I’m going to use that as my excuse for one more beach weekend or two. But as most of us know, the fun doesn’t have to end just because the calendar’s switched over to September. After all, fall’s got a few advantages over summer when it comes to outdoors activity. The heat and the humidity eventually start to taper off, the fall foliage goes into full tilt around October or so (why else would day driving trips through Vermont merit their own advertisements in the paper? ), and the usual tourist crush is winding down at the beaches and the national parks. Around about Halloween or the time change (whichever comes first), the Palisades usually offer a nighttime group hike along the Shore Trail. It’d be nice to do the hike again this year – I missed it last year because I was up to my ears in a graduate school paper, and the two years before that, the weather threw a wrench into things: the October snowstorm in 2011, and Sandy in 2012. So, yes, it’s a bummer to have to get ready to pack away the beach chairs for another year. But just because summer’s winding down, that doesn’t mean you should begrudge fall. 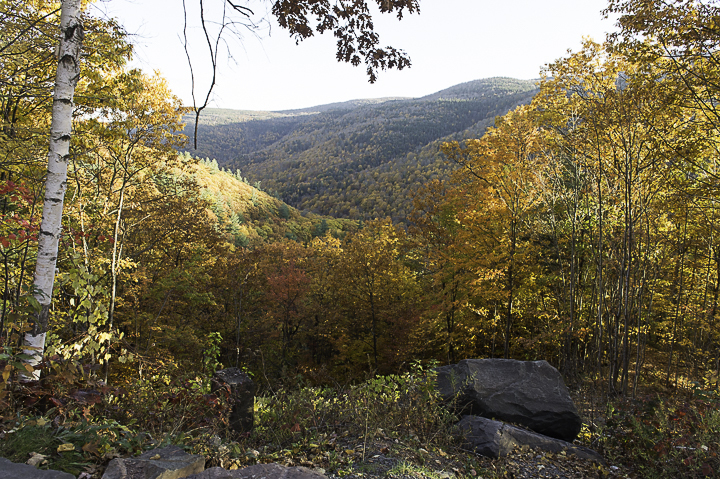 Planning any fall hikes or foliage walks? Share them in the comments section.